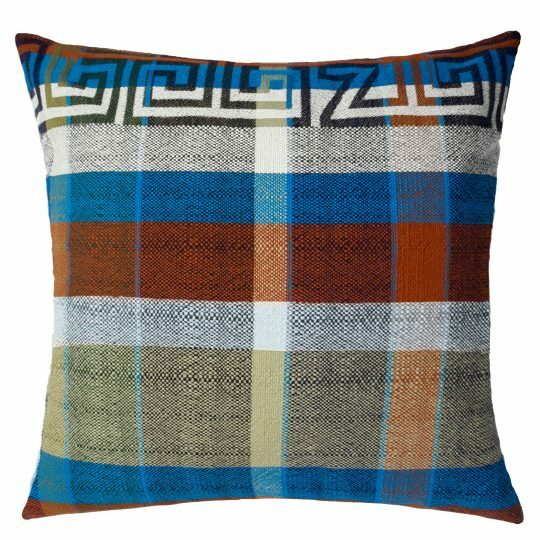 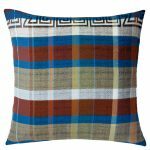 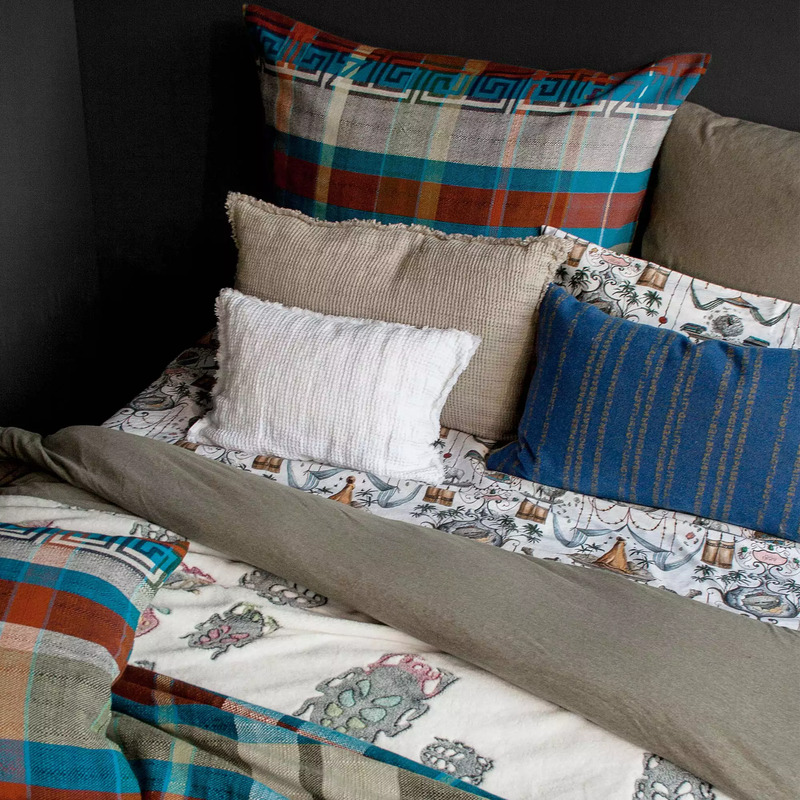 The cushion cover ORIGIN is a special unique piece for individualists: ORIGIN is woven from pure cotton in deliberately uneven twines. In combination with the multicolor stripes-and-checks, the look is intentionally handmade. 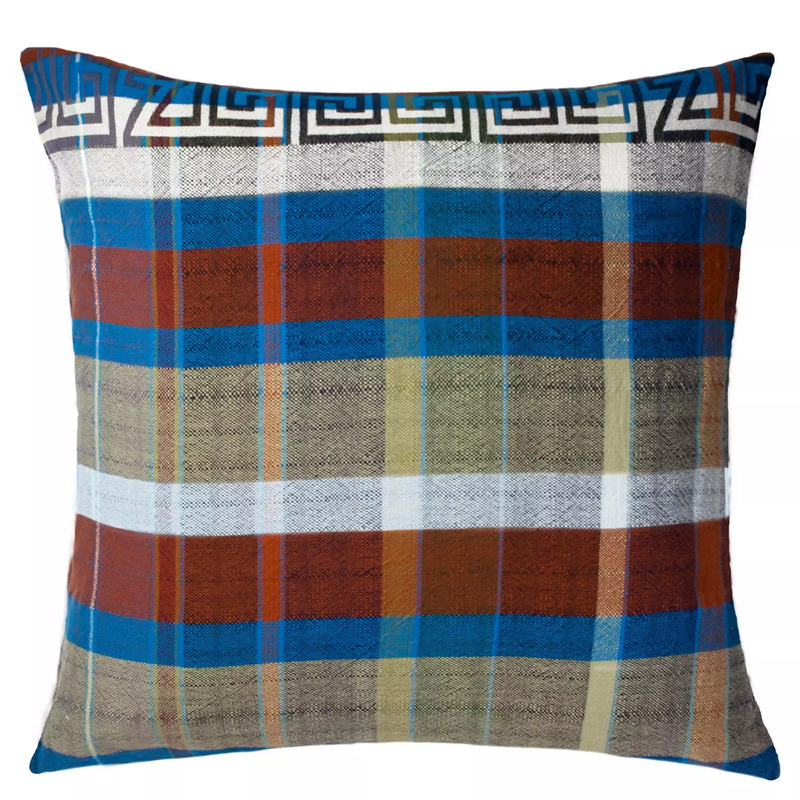 A striking piping finishes the cushion cover on all sides. 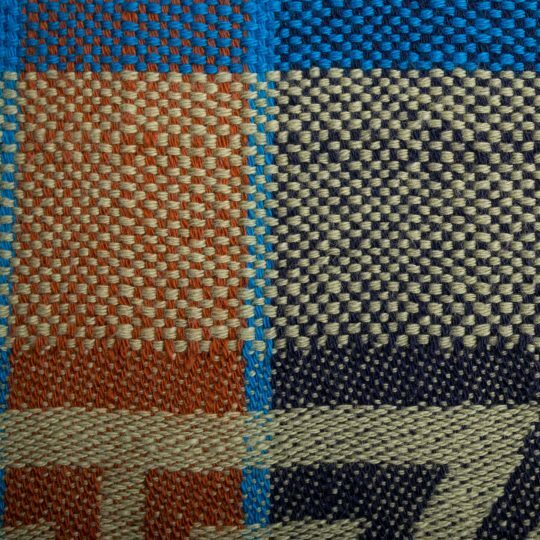 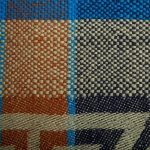 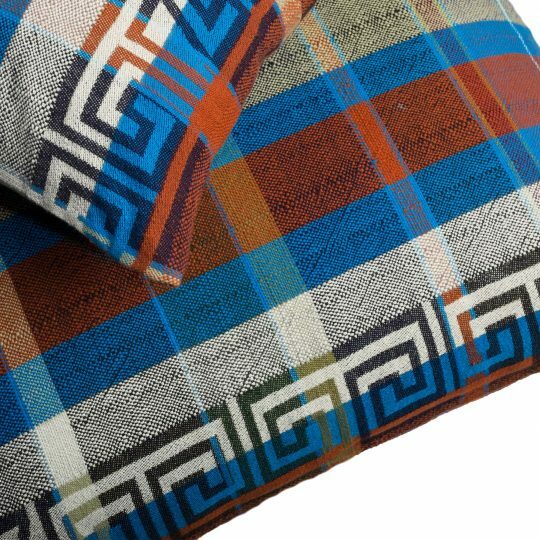 The traditional meander design of 'zoeppritz since 1828' on one side is woven into the cushion cover with irregular disruptions. ORIGIN is closed by a zip fastener.